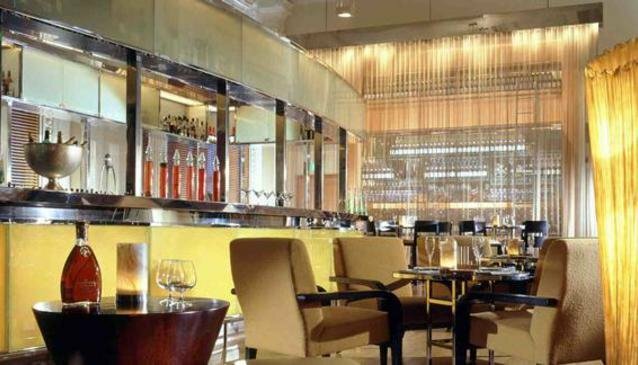 Post Bar is the most beloved stylish bar of the iconic heritage Fullerton Hotel. The bar, which used to be the transaction hall of the General Post Office, has become a popular destination among jet setters and executives alike. Yet you can still drop your letters at the entrance of the bar, in the replica of the red pillar post box that could be found in Singapore in the 1900s. As a busy executive or business man working in the Central Business District, you'll enjoy this place for its quick business lunches and its extensive range of dainty drinks. After a long day at work come and relax at the Post Bar. Sip in style with the signature Fullerton Sling that can be paired with some of the house's creative canapés. For a more secluded corner, head to the private Music Room where you'll completely unwind with some contemporary and New World music then add a touch of glamour to your evening at the al fresco East Garden overlooking Singapore River. Post Bar is truly one of the chicest venues to be seen around town.